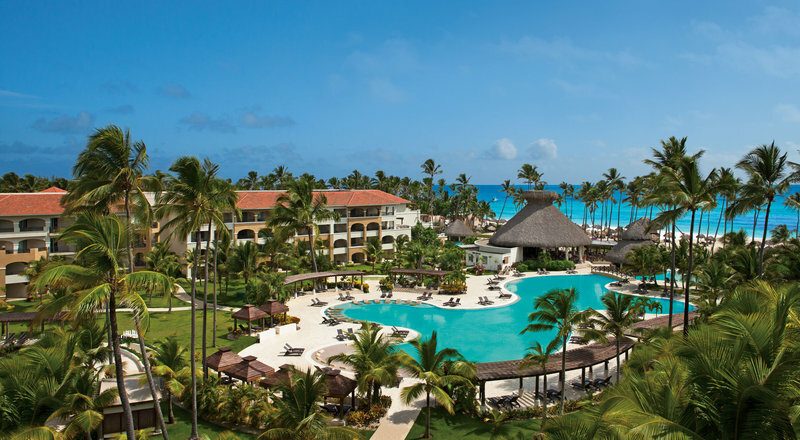 At the Now Larimar Punta Cana couples, families, and friends can enjoy the perfect escape in theCaribbean.This property is the recipient of many awards including the RCI Premier All Inclusive Award 2015, the RCI Gold Crown Resort Award 2013-2015, TripAdvisor Certificate of Excellence Award 2015, and many more. Luxurious, spacious suites are equipped with 24 hour room and concierge service, daily maid service, stocked mini-bar, and a safe. The property contains 721 guest rooms and suites with impressive views and many amenities. The Now Larimar Punta Cana features six gourmet a la cart restaurants (no reservation required), two buffets, and a grill. Seafood, steakhouse, Italian, French, Asian, and Mexican are among the international options offered at the various restaurants. Additionally, guests can choose to enjoy a meal in the privacy and comfort of your room. Eleven bars and lounges located around the property serve unlimited top shelf spirits without expected gratuity. A fully equipped fitness center is open daily for guests who would like to stay fit. There is also a world class spa that offers a variety of treatment options to relax and pamper your body. Choose from options including facials, eye treatments, body warps, hydrotherapy, massages, manicures, pedicures, and more. There are many activities and entertainment options available to guests of every age. In addition to swimming in one of the five pools, many sport options are offered including tennis, golf, basketball, bowling, beach volleyball, aerobics, dance classes, baseball (batting cage), billiards, rock climbing wall, and more. Guests can also participate in various water activities such as sailing, snorkeling, windsurfing, scuba diving, kayaking, fishing, etc. There is a casino open daily for those who would like to try their luck, a nightclub, and nightly live entertainment. Exciting tours and excursions are also available for those who would like to explore Punta Cana.